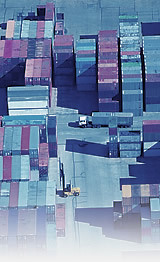 Welcome to the Swiss Logistics Platform Website. We are happy that you are visiting our website and are happy to provide you with information on individual legal issues. Access to and use of this website are subject to the following conditions. If you do not agree with them, please do not use this website. This website belongs to Swiss Logistics Platform . This website is exclusively for informational purposes. The information shown on this website and opinions can be changed at any time without previous notice. We therefore request to take another look at this website on your next visit to familiarize yourself with changes / supplements. This website is intended for persons who are authorized to gain access according to the legal statues that apply to them. Our website was created with due diligence and to the best of our knowledge. The materials are reviewed and updated continuously be our employees. However, we cannot provide any guaranty that the information conveyed is error-free and complete. We reserve the right to add to our website at any time, change information, delete it or to discontinue publication temporarily or permanently. Links to the websites of third parties are offered as a courtesy. We express no opinion on the content of the websites of third parties and reject any responsibility for third-party information and their use. Swiss Logistics Platform hereby expressly states that no illegal content of the linked pages was recognized when the links were placed. Swiss Logistics Platform has no influence whatsoever on the current and future design, contents or the authorship of the linked pages. Swiss Logistics Platform hereby expressly distances itself from all content of all linked pages which were changed after the links were placed. The total content of the website is protected by copyright. Downloading or printing out individual pages and/or sub-sections of the website is permitted for private purposes if neither the copyright marks nor other legally protected marks are removed. Complete or partial reproduction, modification, linking or use of this website for public or commercial privileges is prohibited without written permission of Swiss Logistics Platform. Swiss Logistics Platform excludes all liability for losses or damage of any type without restriction - be it for direct, indirect or subsequent damage which could result from the use or access to the Swiss Logistics Platform website or resulting from links to the websites of third parties. Swiss Logistics Platform rejects all liability for manipulations to the EDP system of the Internet user by unauthorized persons. Here Swiss Logistics Platform makes express reference to the dangers of viruses and the possibility of systematic hacking attacks. We recommend the use of current browser versions and the installation of constantly update anti-virus software for the purpose of fighting viruses. You should never open emails of unknown origin or unexpected attachments of an email.